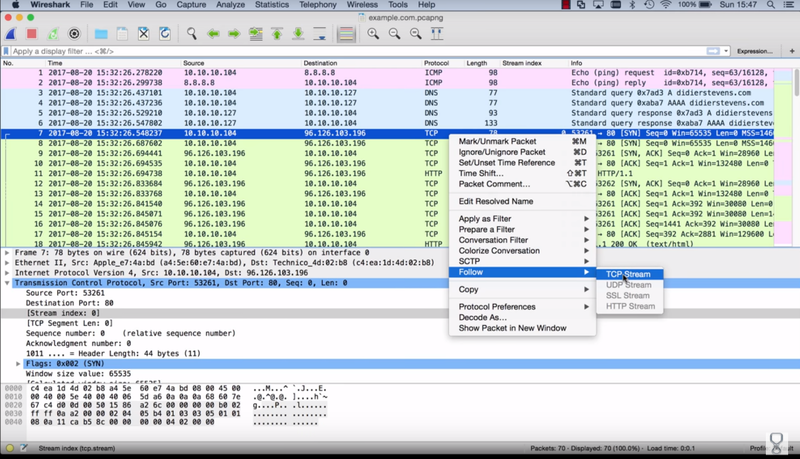 Following streams (like TCP connections) in Wireshark provides a different view on network traffic: in stead of individual packets, one can see data flowing between client & server. There is a difference between following a TCP stream and an HTTP stream. For example, if the data downloaded from the webserver is gzip compressed, following the TCP stream will display the compressed data, while following the HTTP stream will display the decompressed data.